- Impressive breaking performance - up to 6 tons of concrete in one hour which makes TE 3000 equal to air/compressor tools. - Needs no compressor and is therefore easier to transport than air tools, highly versatile and ready for use in minutes. 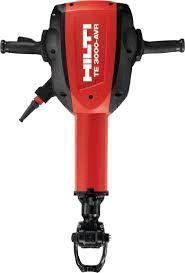 1 1/8" Point Chisel 16"
1 1/8" Narrow Flat Chisel 16"
* Please call us for any questions on our jack hammer electric 65 lb. 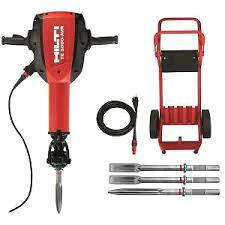 hilti w/cart rentals in Fort Madison IA, serving Southeastern Iowa and Western Illinois.